Dare you! Double-dog dare you! Sound familiar from your childhood? Challenges from my childhood neighborhood buddies and siblings ran along those lines. The ultimate challenge was double-dog dare you. A recent challenge this summer wasn't a double-dog-dare-you challenge, but was a challenge. Sweet Tea and Sweet Lavender were involved, but probably not the way you may think. What did I do in response to the challenge? .... 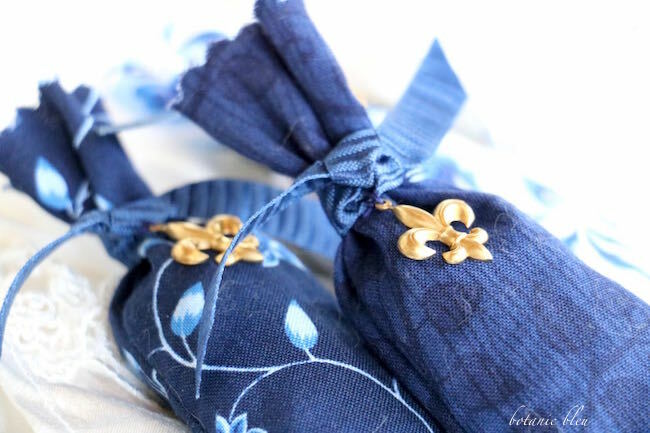 Created an easy-to-make sachet with a little French inspiration. Here's the story behind the challenge. 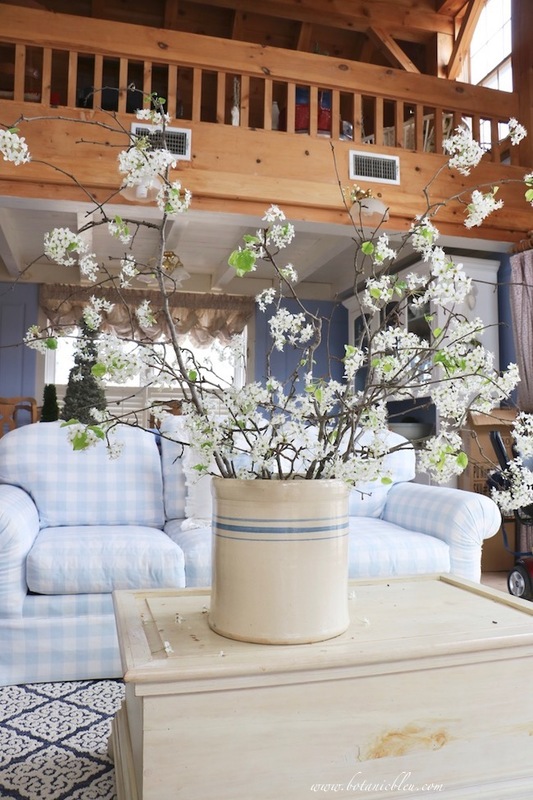 Her credibility is bankable, as in working with Hoffman California International Fabrics to design beautiful fabric. 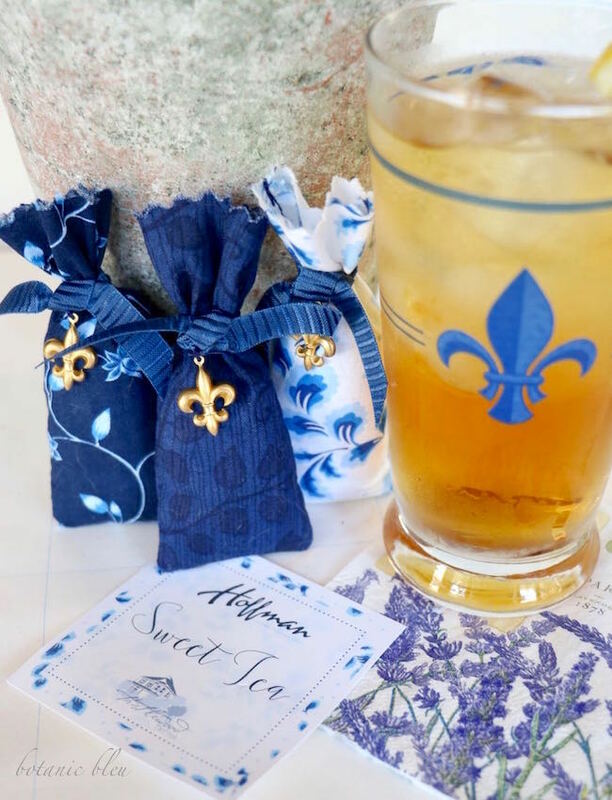 She generously gave everyone present Charm Packs of fabric samples for her wildly popular Simply Eclectic line AND for her just-in-the-stores-this-summer Sweet Tea line. 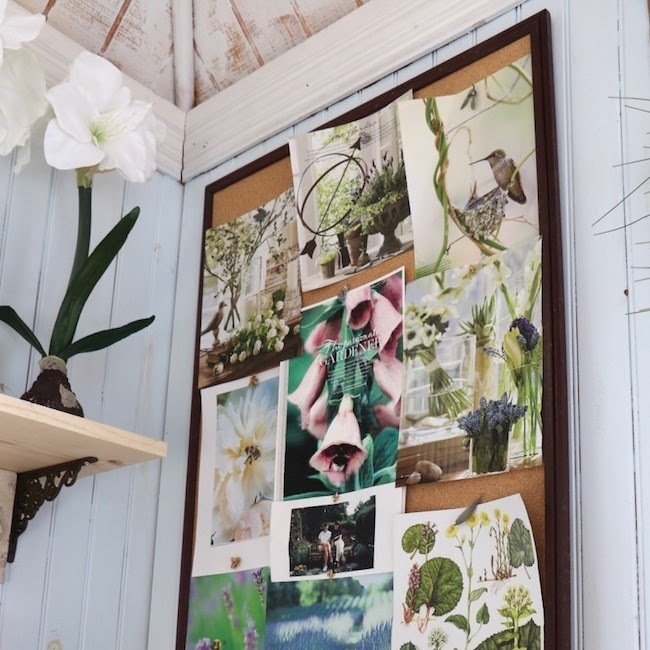 Laura of Decor to Adore presented four wonderful ways to use the Charm Pack samples... fabric banner, decorated clothes pins, fabric-covered buttons-turned-magnets, and small sewing kits. We all oohed and aahed with each creative idea Laura showed. 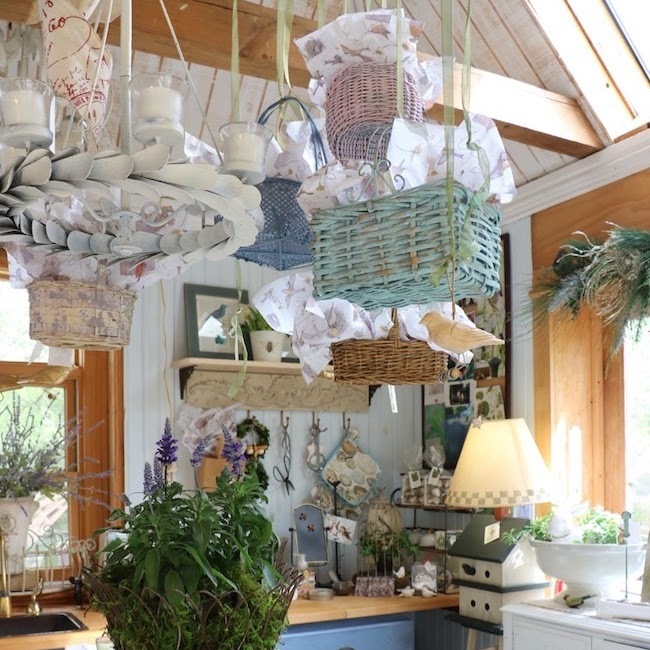 Then, Carole West of Garden Up Green threw out the idea of a Sweet Tea Charm Pack Challenge. 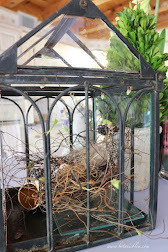 Each blogger attending was challenged to create something from her sample pack of fabrics and link up to a posting to show all of them. KariAnne was immediately on board with organizing and sponsoring the challenge. Guess what. 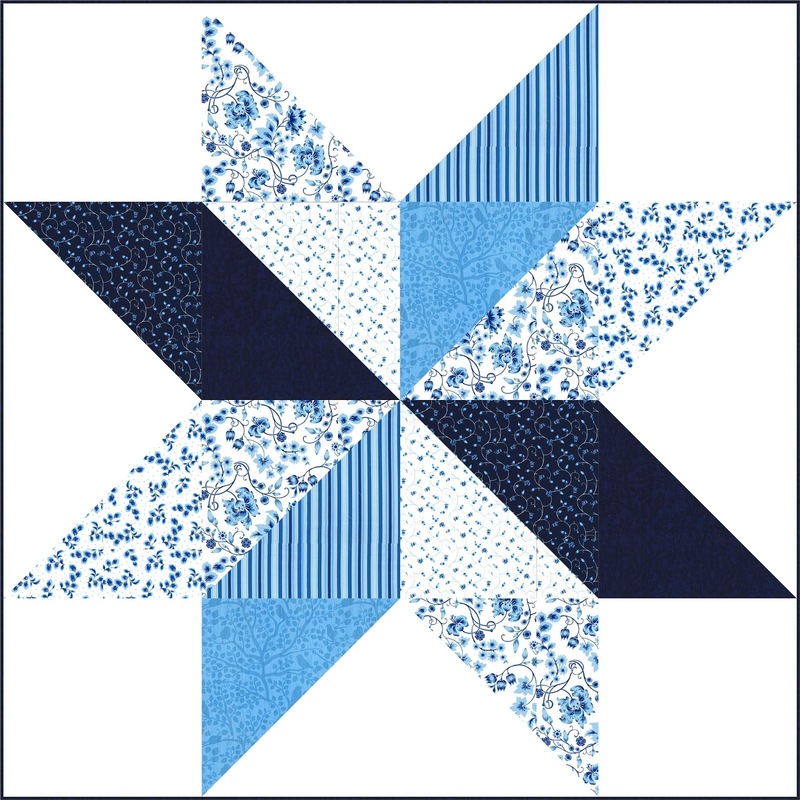 There is a prize quilt top made from the blue Sweet Tea fabrics for the blogger whose Sweet Tea creation is voted the favorite by readers. My response, in French, of course, "En garde!" Take up your positions! I accept the challenge. Momentary back step... my sewing machine is not speaking to me. It refuses to wind thread on bobbins. Perhaps if I speak to the machine in French, "Parle-vous anglais?" Do you speak English? Non? Still refusing to wind bobbins? Ah-ha.... there is a bobbin filled with navy thread. 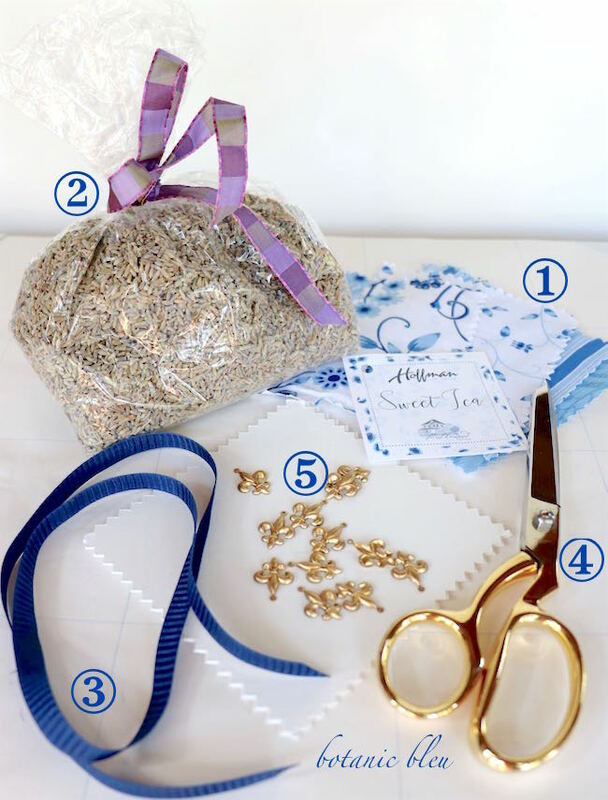 The sachets are so easy to make that no detailed instructions are needed, but here are a few steps. Choose one of the fabric squares (they already have pinked edges), and fold it in half with the right side inside. No cutting needed; scissors are for cutting the ribbon later. If you do not have Charm Pack squares, use pinking shears to cut 5"x5" squares from your fabric before following these super-easy steps. The phrase for this project is S U P E R - E A S Y. This fabric has such a nice drape to it; it feels wonderful with a lot of body, but soft to the touch. 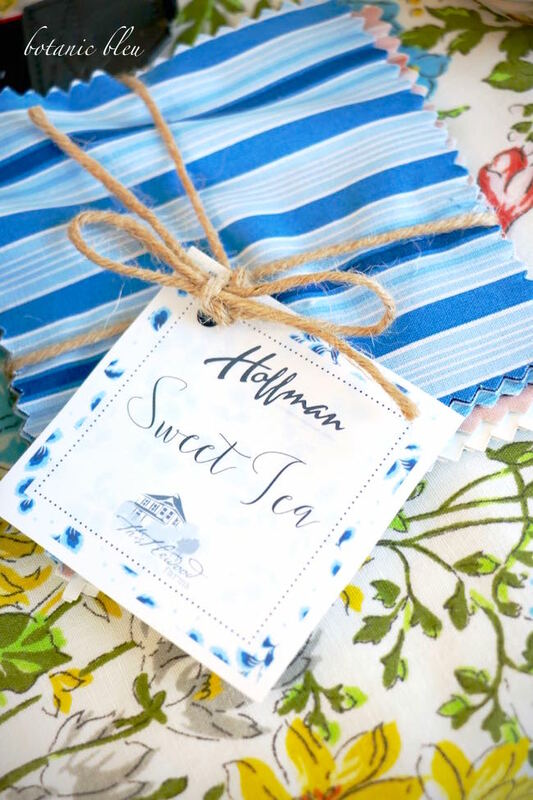 The French are renowned for their fabrics, but the French have nothing on the Hoffman Sweet Tea and Simply Eclectic fabrics. Très élégante. Sew a simple straight stitch on the two long sides and one short side, leaving one short side open. This creates a long, narrow sack. Turn the sack right-side out. Turning the sack was the hardest part of making the sachet, and it really wasn't hard. No... the hardest part was getting a bobbin with thread. Fill with dried lavender seeds. Cut a short piece of ribbon and tie around the open end. The pinked edge of the sack becomes the finished edge. How easy is that... using the pinked edge! 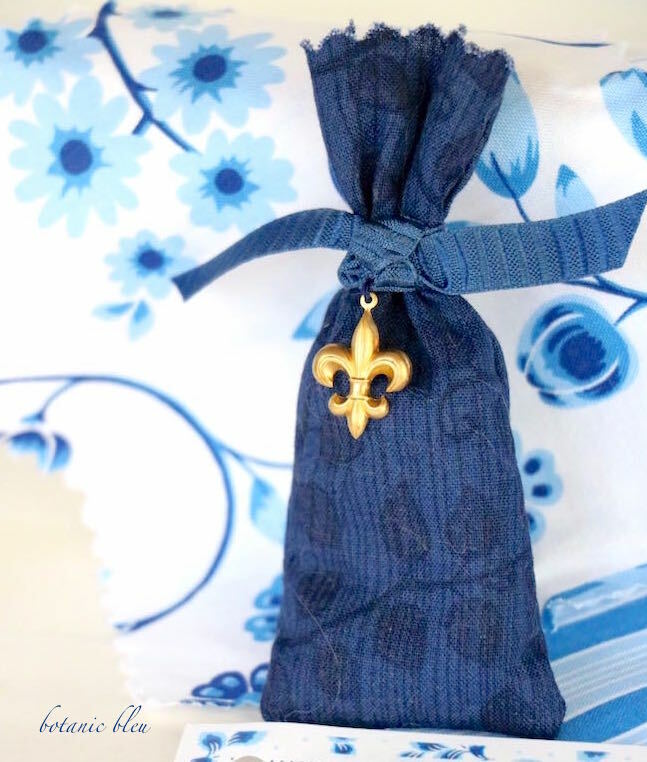 Hand sew a fleur de lis metal embellishment to the ribbon. While using a ribbon to close the sachet is much easier than sewing the last side together, using the pinked edge also gives a decorative edge to the sachet, and also allows the lavender seeds to be removed when they get old. 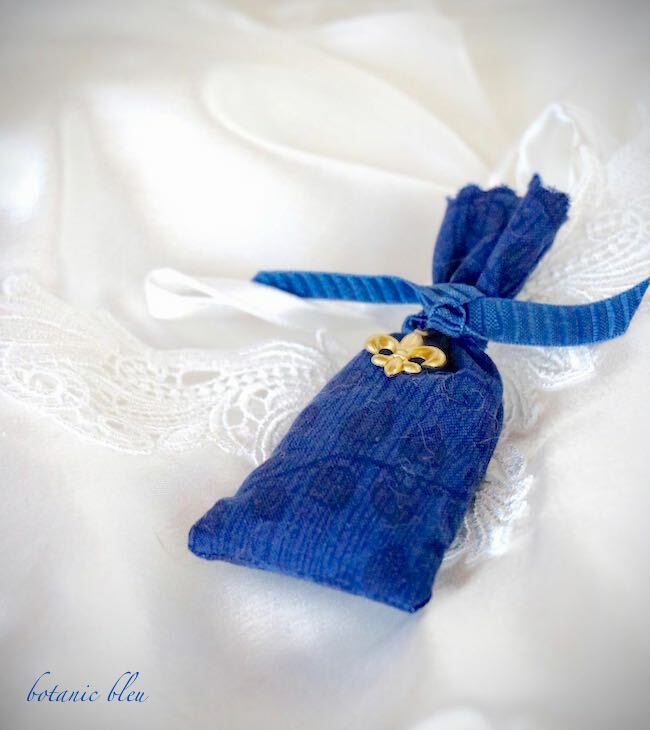 It will be super easy to replace the old lavender with fresh lavender as needed, and then re-tie the sachet. 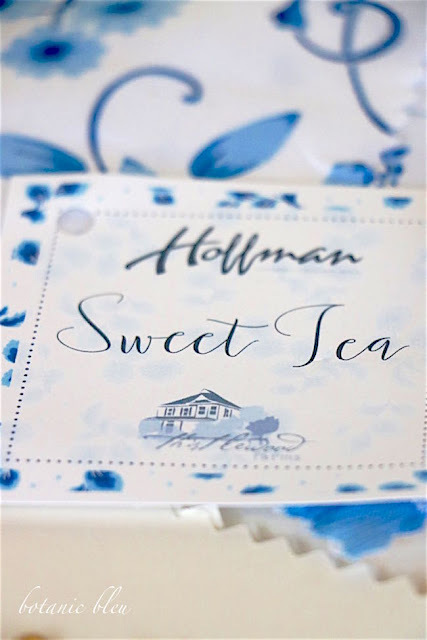 The Sweet Tea fabrics are color-coordinated making it super easy to mix-and-match patterns to create a set of three sachets suitable for giving as a gift. Anyone else thinking, "Christmas presents for teachers, friends, co-workers, neighbors, stocking-stuffers, ...?" Now that you have seen this beautiful fabric line and all the creative projects using it, here's where you can buy Thistlewood Farms fabrics. Thank you, KariAnne and Hoffman Fabrics, for sponsoring such a fun summer challenge. 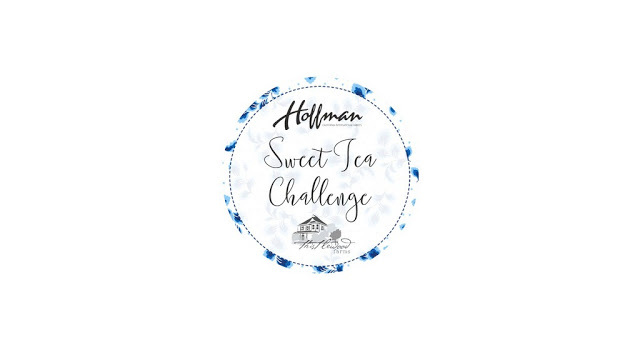 Be sure to check out all the other Hoffman Sweet Tea Challenge creations, and VOTE for your favorite. I can't wait to see what all my Texas blogger friends have created. 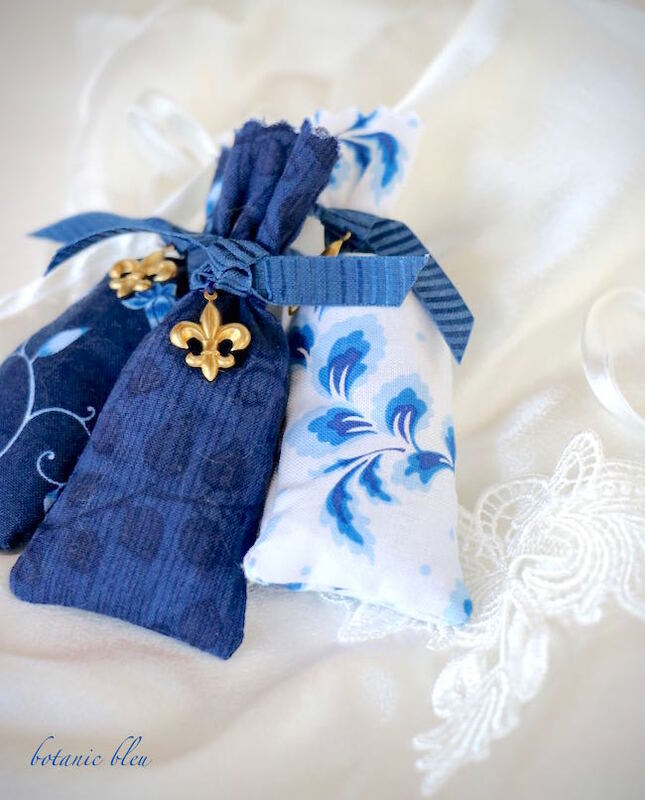 Here's fingers crossed that readers will VOTE for my French-inspired sachets as their favorite. To cast your vote, just click on the little heart in the upper right corner of the photo. WOW. That bleu of the sachets, Judith, that is MAGNIFICENT! Absolutely fabulous! 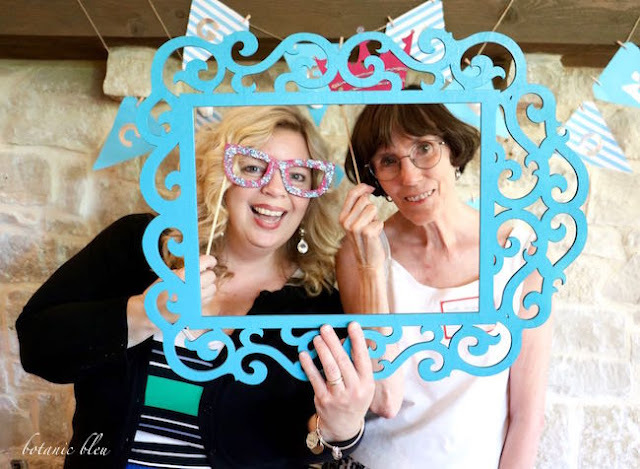 We had such an inspiring retreat with such a lovely gathering of ladies. Thank you for sharing your time and talents with us that day too. Ohh la la! C'est fantastique mon amie Judith! Bonne chance dans le défi. 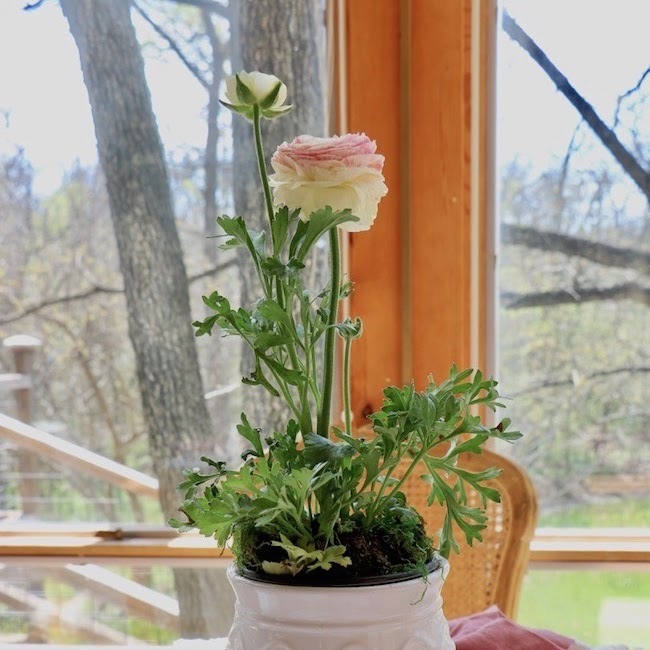 Judith - these are fantastic you gave me a neat idea for some Christmas gift giving this year. The simplicity of this is the best. I always had sachets in my dresser growing up. I like the idea of traveling with them too - this is really great! You are amazing! What a fun project idea for Christmas! Thank you SO much for participating in the challenge! Judith these sachets are adorable! I love that little bit of sparkle the charms add to the project. What sweet party favors or hostess gifts these would make! Oh Judith, your sachets are soooo adorable! The little charm adds the perfect French touch! Judith, these are dear! Bravo on this idea. 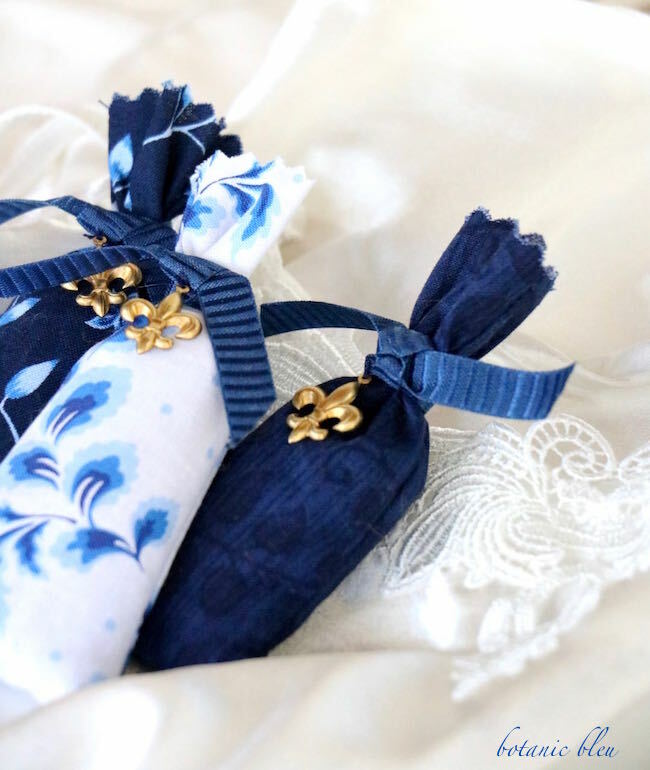 I love to use sweet lavender sachets in my drawers and closet shelves. 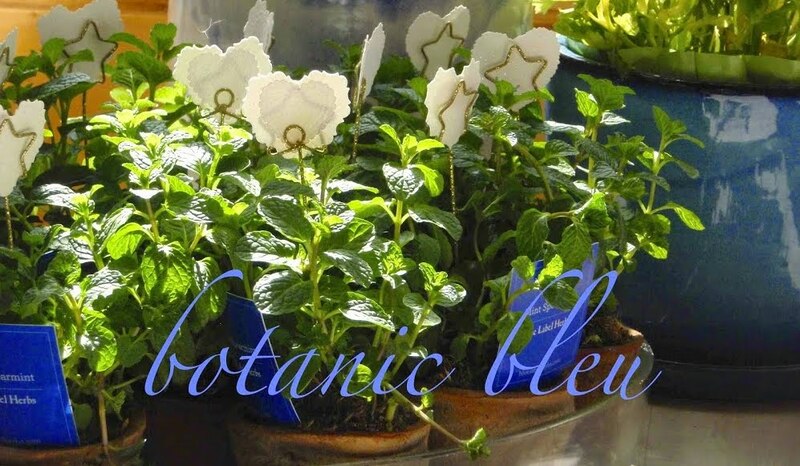 These would also make beautiful hostess gifts. Good luck! I love these. I bet they smell divine. So sorry about your machine. I love the cute brass embellishment on these. So fun. 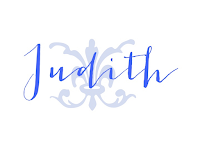 Judith, I love these. They are so pretty, easy, and I bet they smell divine! So annoying when a machine doesn't behave. Hope you can get it working! 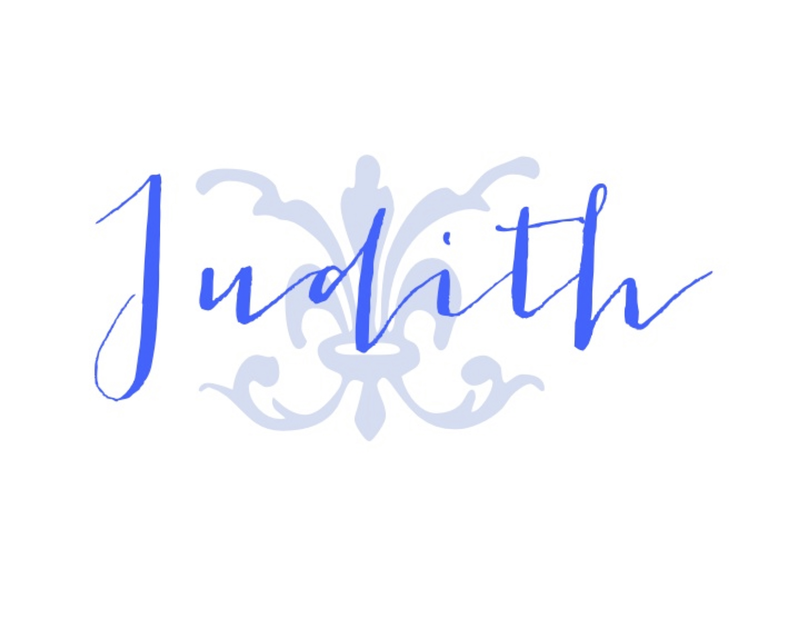 Pretty sachet bags, Judith. 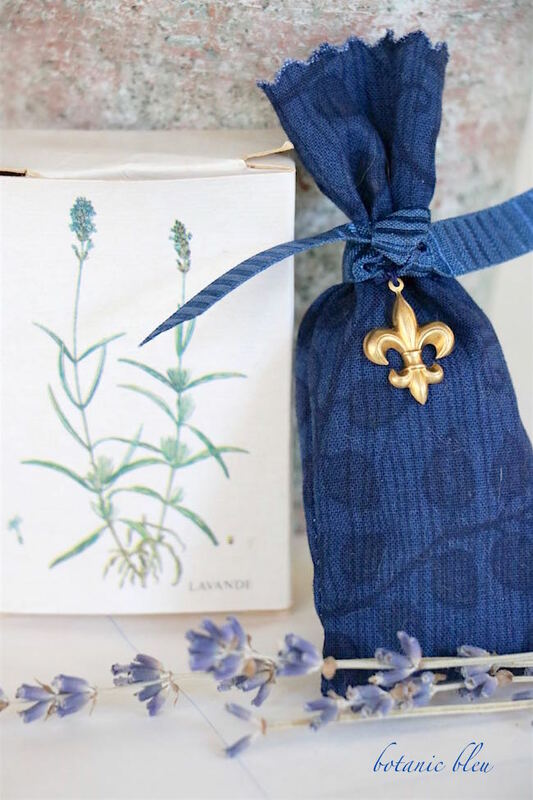 I love the scent of lavender and the fleur de lis is the perfect embellishment. Lavender is my favorite! Such a great use of the fabric. Such a great challenge to be a part of. 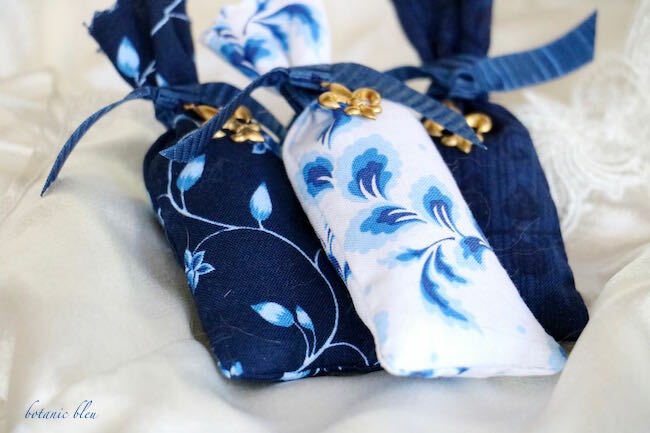 Your sachet bags are fantastic and the embellishment so accurately reflects your taste and your blog. Judith, your little lavender bags are so cute. I love lavender, so I can see doing this. 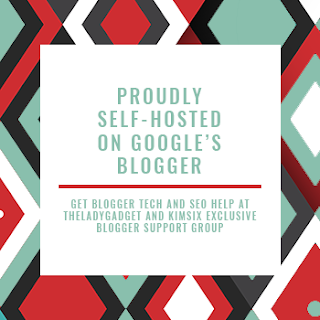 Thank you for sharing at Your Inspired Desgin Link Party. Those little sachets are so adorable!! I had a love hate relationship with my sewing machine and finally sold it in a garage sale last year. I really need to get a new one!! Thank you for sharing at TaDa Thursday!!! How adorable these are! Thank you for sharing at Home Sweet Home!